For at least one progressive cause the 2016 election wasn’t a total loss. While we can forget about the “Fight for $15” on the federal level — at least for now — voters in red states and blue gave the movement a significant boost. Courtesy of the ballot box Flagstaff, Az. became the first city outside the coasts to adopt a $15 minimum wage. Statewide voters in Arizona Colorado, Maine and Washington — said yes to increasing the minimum wage to at least $12 by 2020. All told, the voter-approved increases cover 2.3 million workers nationwide, bringing the grand total to nearly 20 million since Fight for 15 launched four years ago, according to the National Employment Law Project. “In all four states approving the minimum wage increases, the “Yes” votes exceeded the vote totals for either of the major parties’ presidential candidates — striking proof of the broad public support for raising wages across party lines and different regions of the country,” said the NELP. Separately, San Jose this week approved a $15 hour minimum to take effect in 2019. And let’s not forget Missouri whose minimum wage workers get a whole extra nickel in their pay packets from $7.65 to $7.70, effective Jan. 1st, under a law passed in 2007. Nor South Dakota whose voters rejected a proposal to reduce the state’s $8.55 minimum wage to $7.50 for non-tipped employees under age 18. Had Clinton been elected, a federal minimum of $12 or $15 would at least have been on Congress’s agenda. In the Trump era, keeping it at $7.25 may be the best one can hope for. 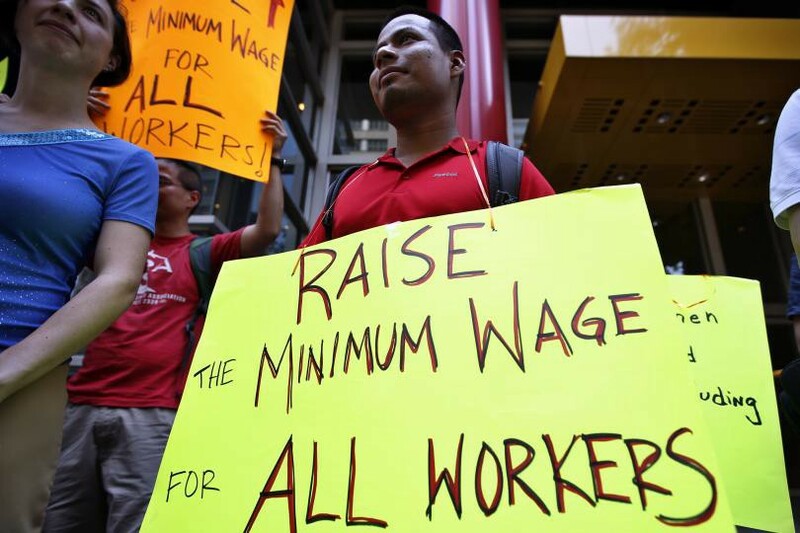 “I expect most of the action on the minimum wage will continue to be at the state and local level,” said Ken Jacobs, who heads UC Berkeley’s Center for Labor Research and Education, which conducts studies of minimum wage laws in states and cities across the country. Distinguished Journalist in Residence, Institute for Research on Labor and Employment, UC Berkeley.